Dr. Perry Stepp, vice president for academic affairs, has announced his resignation from Dallas Christian College, serving his last day on June 24th, 2016. “During my time here, I have been part of building an incredible faculty. They are simply the finest group of people I have ever known, as scholars and teachers and human beings. It has been a daily honor and blessing to work with them. It’s also been a joy to work at my alma mater; these halls and rooms hold more memories than I can count. 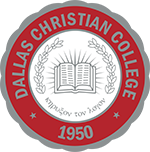 Dallas Christian College is the place where I learned to hear God’s voice and follow his call for my life. Dr. Stepp was appointed academic dean in 2012 after serving at Kentucky Christian University for a number of years. He played an important role in developing the College’s most recent strategic plan and was involved the advancement of FLEXCampus®, DCC’s newest professional education program. President Smith and his leadership team will begin a search for Dr. Stepp’s replacement. More information regarding the position vacancy will be updated to the College’s website as it becomes available.